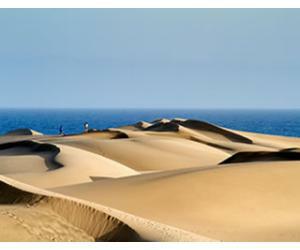 Lanzarote is the easternmost of the Canary Islands, situated very close to her sister island Fuerteventura. The capital is in Arrecife, but this is not a tourist town so not many people choose to spend their vacation in the capital. 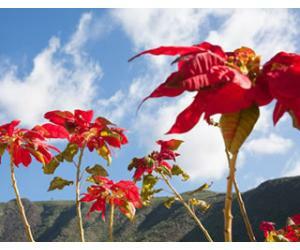 Lanzarote offers great weather all year long and this makes it a popular destination even in the winter time. Timanfaya Park is the most popular attraction on the island, which you definitely shouldn't miss if you ever come to visit. 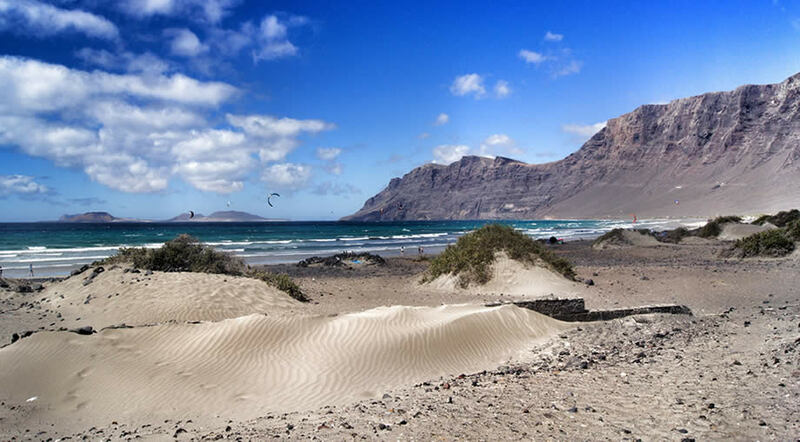 If you are trying to decide on where to stay in Lanzarote, then you should take into consideration the fact that the West of the island has constant winds all year long, and best suitable for surfers. 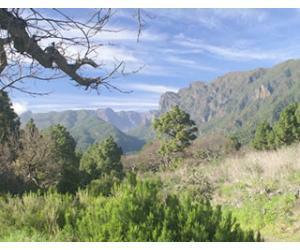 The North has beautiful views and has lots of vegetation and palm trees, but is more quiet and there are no big resorts. The South is where all the action happens, and here you will find great places for kids, entertainment for adults and lovely beaches to enjoy and relax. Lanzarote is predominantly a sunbathing destination, and most of the popular resorts are on the South East Coast. In order to find the perfect place, you should think of what activities you are interested in. Do you wish to have holiday just to relax or do you want to lounge during the day and party at night? The island offers also great things to do for active people who prefer water sports or maybe cycling. Our guide it meant to help you make the most of your time here and choose the best place for your needs. It is easy to move around Lanzarote especially if you rent a car, so you could also visit the entire island. The prices are probably the lowest you will find in Europe so it is worth it to take a car and just drive to see the beautiful scenery that Lanzarote offers. Situated in the South of the island, Playa Blanca is ideal for peaceful vacations, where all you want to do is relax and spend some time with the family. The resort has 3 main beaches with Playa Blanca being just a few minutes away from the city center. This is smallest of all three so it gets crowded sometimes. In this case you can tale a walk to Playa Dorada, situates in the east. This is the largest and most populated beach in the area and has lifeguards during the day. For children there are many fun activities, like banana boats. 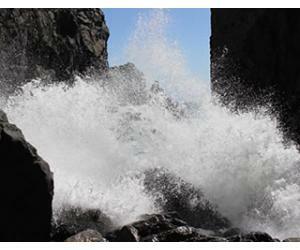 It has warm waters and is protected from big waves, so it is suitable for small children. You can also find lots of restaurants to enjoy a nice lunch, so you should look for accommodation to be the closest possible to this beach if you want to come here every day. The most famous beaches on the island are just a few kilometers away from playa Blanca. You can reach Papagayo beach by car on a dirt track and there is a 3 euro entrance fee since this is national park. You could also come by foot or by bike, but this is a long journey if you accompanied by small kids. At Papagayo you will find a collection of small beaches, each very beautiful, but if you want to spend the day here you should have something prepared to eat and drink, since there are no facilities in the national park. There are lots of things to do in Playa Blanca and around it and it's a much more chilled atmosphere compared to Puerto del Carmen. 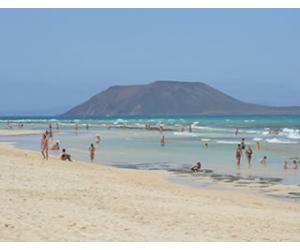 Also from Playa Blanca you could cross over to Fuerteventura, with one of the ferry services available. You will arrive in Corralejo, a very popular touristic resort on the island where you can spend the day or you can rent a car and drive to El Cotillo beach, which was included in Top 10 most beautiful beaches in Europe by Tripadvisor. H10 Lanzarote Princess is a good hotel for families and close to the Dorada beach. Hesperia Playa Dorada Hotel offers the possibility to book and all inclusive vacation, which for some people is a good choice, especially if your children are picky with food and ordering in a restaurant is hard to decide. Puerto del Carmen is by far the most popular resort in Lanzarote and is situated conveniently close to the airport. It has a lively nightlife, so here you won't get bored if you are looking for clubs and beach bars to spend a night of fun. 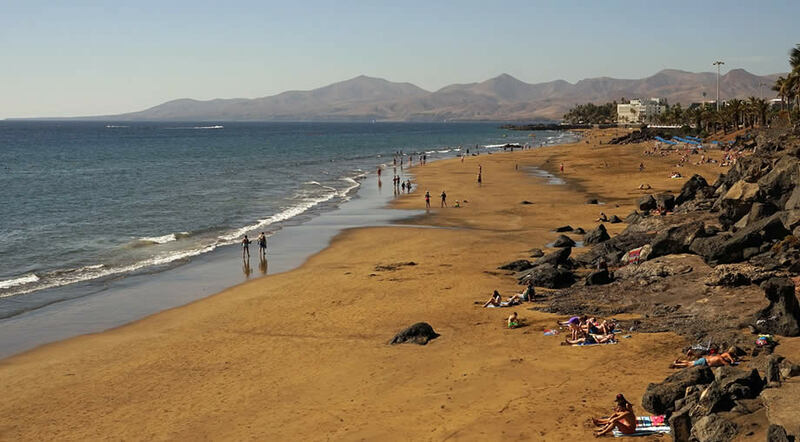 For beach lovers Puerto del Carmen has to offer 3 options that suit most needs. Playa Chica - this is the smallest beach, in the old town, near Hotel Fariones. Here you can escape the crowds from the main beach and you can enjoy some peace and quiet. Playa Grande is the most beautiful beach the resort has to offer, and probably the reason Puerto del Carmen is such a popular choice among holiday makers. This is a Blue Flag beach and proved all the comfort with umbrellas, sunbeds and restaurants close by. The water in Playa Grande is calm, with no big waves, so this makes it the perfect choice for families with kids. Playa Pocillos is another large beach, with kilometers of fine sands. This is situated closer to the airport, so it is a nice place for plane spotting. In you chose to stay in this area, be aware that apartments and hotels situated in Playa Pocillos tend to be more noisy, because of all the airplanes. Still, here you can get more value for your money, because apartments and hotels are cheaper than the ones you will find right in Puerto del Carmen. Another thing you could do is a visit to the capital Arrecife, or, if you want to escape the beach for one day, you can head up to Timanfaya National Park, situated only 30 minutes away. 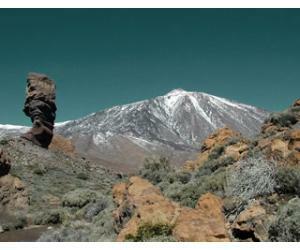 Here you will find more about the history of the island, you will enjoy the volcanic landscape and watch a geyser erupt. It is great both for kids and adults and you can spend all day exploring. Puerto del Carmen is a wonderful resort, with plenty of things to do and in our opinion it's the best place to stay in Lanzarote without a car, if you're not planning on renting a vehicle while you're on holiday. For more ideas, you can check our list of things to do in Puerto del Carmen. For shopping you can go to Centro Comercial Biosfera Plaza, where you can also find 2 supermarkets: Supermercado Spar and Supermercado Marcial. Also, every Friday, in Plaza El Varadero, you can check you a local market that is open from 10 am until 10 pm. You can find almost anything, from cheap clothes, to food and souvenirs. Hotel Los Fariones is one of the oldest on the island, so the decor may seem a bit outdated, but the place still has great reviews. Seaside Los Jameos or and Hotel San Antonio also are popular among tourists, but you could also rent a private villa if you are in a large group. Costa Teguise is situated just north of the capital, 15 minutes away from the airport. The resort was developed with turism in mind, so you will find all the amenities and facilities that make a good holiday: fine restaurants, great beach, activities for children. Of the 4 beaches of the resort, Playa Bastian is ideal for families traveling with young children. Playa Bastian is very protected, has calm and warm waters and is ideal to lounge and enjoy the warm sun. On the other hand Cucharas Beach is popular among windsurfers and people who like water sports. If you are tempted to learn, here you can find a few windsurfing schools that will help you start in this new sport. An option besides the beach is to take a day to visit the Cesar Manrique Foundation, situated just 10 minutes away by car. This is a MUST SEE when visiting the island of Lanzarote and you will not be disappointed. You can also make a trip to Castillo Santa Barbara, which is now a house for The Pirate Museum. Lanzarote was a target for many pirates attacks in the old days, so now you can find more about its history and also enjoy the fantastic views. There is a small entrance fee, 3 euros for adults and 1,8 euros for children. There not as many shops in Costa Teguise as in Puerto del Carmen or Arrecife, but you can try and see Centro Comercial las Cucharas and also the small shops from the promenade. You can also make a quick trip to the capital, where you will find a bigger commercial center and various shops. On Sundays you can go to the famous Teguise Market, probably the largest market in the Canary Islands. The Barcelo hotel is probably the most popular in the resort and offers nice rooms and facilities. Los Zocos Club Resort is also close to the seafront and the hotels says the rooms are receiving new furniture, so this should improve your experience if you chose this hotel. Haria is situated in the North of the island, where the climate is different from the rest of the island and the landscape is green, full of plants and palm trees. It has a unique look and it looks full of life compared to the volcanic landscape in the south. Here you will have plenty to do, since many tourist attractions are close by. The name Haria means in Spanish "would you", so the name itself invites to contemplation and more relaxed approach to holiday in Lanzarote. From Haria you can go to Famara cliff, where you will find the tallest point in Lanzarote - Penas del Chache at 671 m altitude. On top you will have a beautiful view of the Famara beach, and would also have the chance to see plants that are native in the Canary Islands. You also should go to Jameos del Agua and Cueva de los Verdes, two of the most special places on the island. These are part of the same volcanic tube, where lava used to flow when the volcano would erupt. This is not something you can find in many places in the world, so you should book a tour to visit. It is a unique experience and one of the gems of Lanzarote, besides all the beautiful sandy beaches. If you want to spend some time at beach, then you should go to Orzola beach. The contrast between the white sand and the volcanic rocks offer a splendid view, and here you will find crystal clear waters, far from any tourist resort. For shopping you should visit the local market on Saturdays, between 9 am and 2 pm. The market takes place in Plaza Leon y Castillo and here you can find souvenirs and local products, from handmade jewellery to artisanal mojo sauces, typical to the Canary Islands. There are not many hotels in Haria, but a beautiful place with good reviews is Casa Rural Villa Lola Y Juan. If you find there are too few options here, you could also try and find hotels in Arrieta or Punta Mujeres, which are right on the coast and offer direct access to the beach. Famara Beach is one of the most stunning beaches in Lanzarote, with the ocean on one side and the cliffs on the other and you will fall in love with the place, even if you are not a surfer. There aren't many options as to what you can do in the area, besides going to the beach. Famara Beach is situated on the West Coast and has strong winds consistently. This makes it the perfect choice for water sports like windsurfing and kitesurfing. Here you will find many surfing schools, so if you plan to take a course, this would be a great place to have your base on the island. There are no shops or umbrellas on the beach, so come prepared with something to snack if you want to spend all day here. You can also leave the beach and head into the small town, where you will find some nice pubs and restaurant to have a meal. 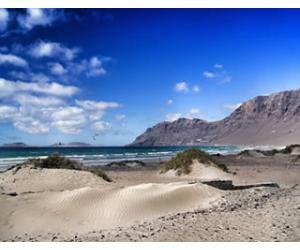 If you pland to stay in Caleta de Famara, then it is best to look for studios or apartments that you can rent. The prices here are lower than the rest of the island, but you will not find luxury accommodation like you could get in Puerto del Carmen either. This is a place for chilling and relaxation and here you can escape the crowds and agitation specific to the resorts on the east coast.